Chief Warrant Officer 2 Douglas M. Vose III, died from wounds received while conducting combat operations in the Kabul Province of Afghanistan July 29, 2009, while serving as the Special Forces Assistant Detachment Commander with Operational Detachment Alpha – 0114, Alpha Company, 1st Battalion, 10th Special Forces Group (Airborne), in Stuttgart, Germany. 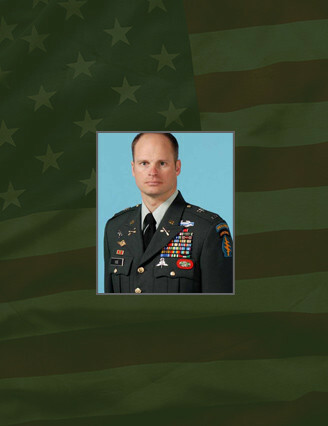 Vose, 38, was killed by intense direct small arms fire while deployed to Afghanistan in support of Operation Enduring Freedom as a member of the International Security Assistance Forces (ISAF) – Afghanistan. Vose, born in Roseburg, Ore., enlisted in April 1989 as a 19D, Transportation Soldier. He later attended the Special Forces Qualification Course, graduating in 1999 as an 18E, Communications NCO and was assigned to 3rd Bn., 10th SFG (A). He was reassigned to 1st Bn. in March 2002 and in 2006, he completed the Warrant Officer Basic Course, returning to 1st Bn. in Germany. Vose’s military education includes the Warrior Leader Course, Basic Non-Commissioned Officer Course, Advanced Non-Commissioned Officer Course, Special Forces Communications Sergeant Course, Special Forces Operations and Intelligence Course, Warrant Officer Basic Course, Special Forces Warrant Officer Basic Course, Basic Airborne Course, Military Free Fall Parachutist Course, and Military Free Fall Jumpmaster Parachutist Course. His awards and decorations include the Bronze Star Medal with Valor device and two oak leaf clusters in lieu of third award, the Purple Heart, the Meritorious Service Medal, the Army Commendation Medal, the Army Achievement Medal, the Army Good Conduct Medal, and the Humanitarian Service Medal, the National Defense Service Medal, South West Asia Service Medal, Kosovo Campaign Medal, Afghanistan Campaign Medal, Iraqi Campaign Medal, Global War on Terrorism Service Medal, Armed Forces Service Medal, Non-Commissioned Officers Professional Development Ribbon, Army Service Ribbon, Overseas Ribbon, NATO Medal, Kuwait Liberation Medal (Saudi Arabia), and the Kuwait Liberation Medal (Kuwait). Vose also earned the Airborne Badge, Combat Infantryman’s Badge, Parachutist Badge, Military Free Fall Jumpmaster Badge, and the Special Forces Tab. Vose is survived by his wife Nicole and sons, Aidan and Connor, who reside in Stuttgart, Germany. He is also survived by his daughters, Sharon and Noel, who reside in Germany; as well as his mother Paulette, sister Kellie and brother Jason of Oceanside, Calif.